Jen had the pleasure of reviewing several of our products, checkout her video if you want to learn more about Belle & Blaire products. Thank you Jen for your kind review of our products. You may check out all of Jen’s reviews on her YouTube Channel at www.youtube.com/JenMakeupDollxo. 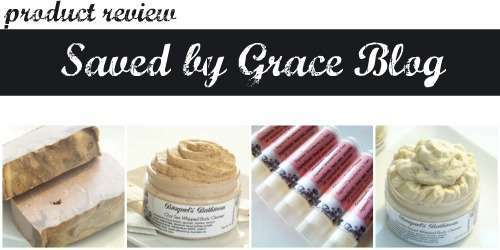 Chrissie from Saved By Grace Blog contacted me shortly after I posted a tweet requesting bloggers to review products. She was the first person to take me up on the offer and she has been a pleasure to work with ever since. I wasn’t sure what to expect when I sent out the tweet, but Chrissie’s professionalism has made the experience as flawless as possible. Thank you, Chrissie! You can read Chrissie’s review here and be sure to take advantage of the 15% discount code that’s good thru Sunday, 6/24. Also, don’t miss out on a chance to win $20 worth of free Braquel’s Bathroom product! This is a special promotion that is offered exclusively on Chrissie’s blog. Head over there now and submit your registration!